Watch ya do about awesome. Yeah that title doesn’t really make sense does it? 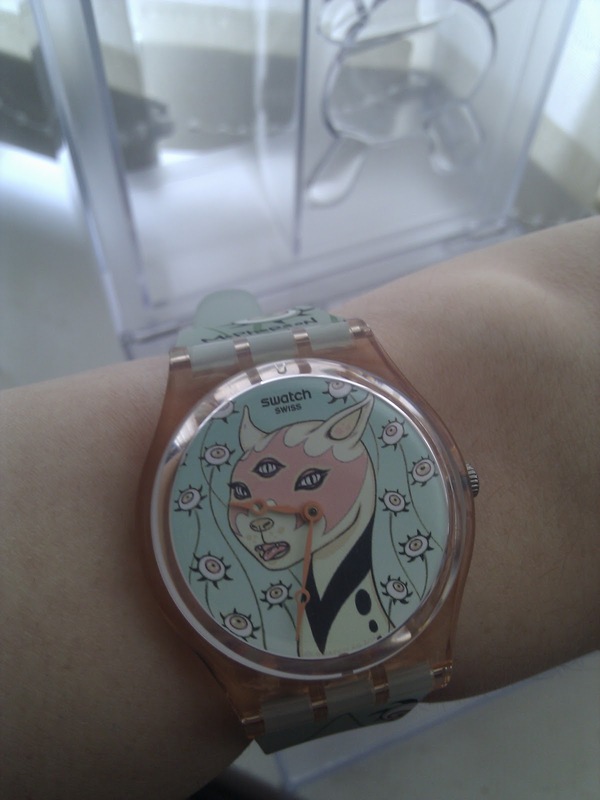 Anyway I thought I’d take this opportunity to show off my awesome new watch I got for my birthday…..
I’ve been a collector of KidRobot vinyl toys for a while now, so when I saw they had collaborated with Swatch earlier this year for an exclusive watch collection I HAD to have one in my life. I was awe in when I saw they even had a Tara Mcpherson one!! Jazzing it up a bit courtesy of Primarks cheap bracelets. There are so many more designs in the collection from renowned artists, they’re truely amazing! They’re not limited edition either so won’t sell out. 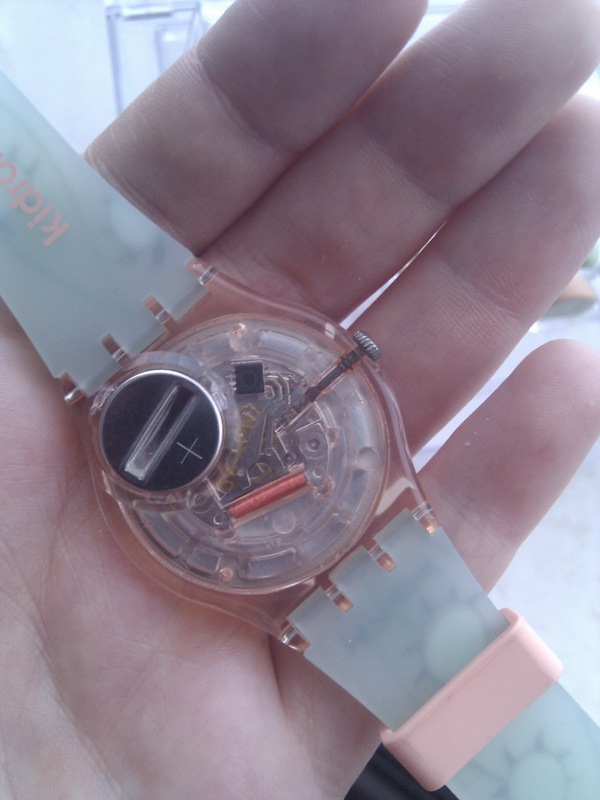 They retail at around £45 at any Swatch store. 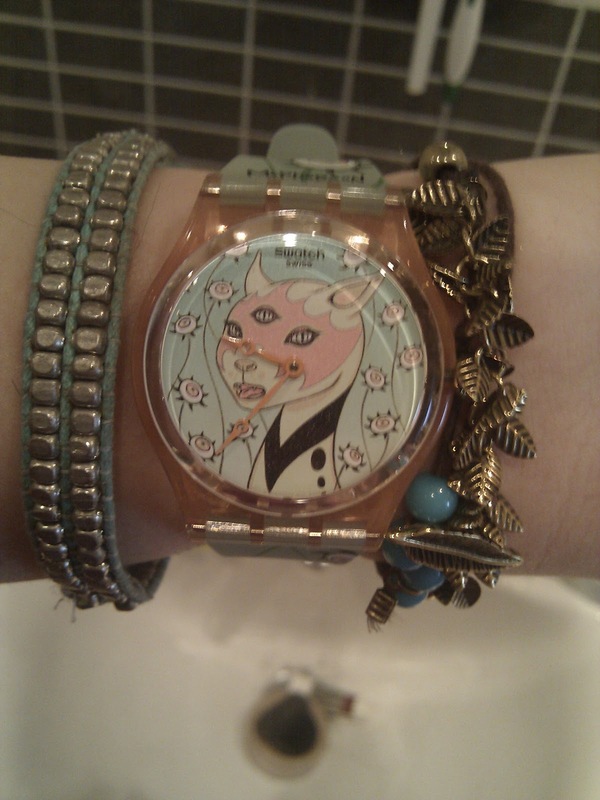 I wont be wearing it all the time though because my heart does belong on a daily basis to my Fossil Watch!